7 Tips for a Stress Free Home Buying Experience in the North Shore! As a North Shore Real Estate agent, I often get asked if now is a good time to buy a home. With an array of beautiful homes currently on the North Shore Real Estate market, low mortgage rates and ideally priced homes, I encourage potential buyers that now is a great time to buy a North Shore home. Whether you’re considering buying your first home in Deerfield, Glencoe, Highland Park, Northbrook, Winnetka or any of the other North Shore cities, or you’re considering buying up in the area; there are many details to consider. While visions of your new home are dancing in your head, it’s also important to take a few minutes to think through your expectations, the current market and your goals. Buying a home in Chicago’s North Shore can be a very exciting time and can be a enjoyable experience if you are prepared. Take a look at the following seven tips to help ensure a stress free and efficient home buying process. 1. Know when it’s the right time in your life to buy- Decide whether to buy based on your life and what makes sense for you, your family, your plans and your finances. Then, use the news about what’s going on in the market to decide how to buy: what kind of house to buy, what sort of loan to use, how much to offer, and other strategies for executing your home buying plans. 2. Find the right North Shore Real Estate agent- Finding the right North Shore Real Estate agent can make all the difference! Be sure to look for the following: qualifications, experienced in the transaction you envision (short sale, high end property, etc…), great referrals and testimonials, is a problem solver, and appeals to your personality style (you could potentially be spending a lot of time with your realtor, so you want to make sure it’s a good fit). 3. Get a good understanding what to expect- Research as much as possible, but be sure to decide on a trusted North Shore Real Estate agent as soon as possible. They’ll be able to give you a layout of what you can expect from buying a North Shore home. Ask your North Shore Real Estate agent questions such as when you’re expected to show up so you can take time off work, and when you’re expected to write checks so you can be prepared. 4. Know the home you’re buying- You may have nightmares of coming home to a recent home purchase only to find it falling apart. Ways to avoid this are to thoroughly go over the disclosures which are required to list out issues or recent repairs within the home, get a home inspection, have contingencies in place when making your offer, maintain a home warranty policy that will cover many major malfunctions for a service call fee. 5. Learn how to prevent money surprises during escrow- When you first apply for a loan, you’ll receive a good faith estimate which is a standardized list of costs associated with obtaining the mortgage and a breakdown of the monthly mortgage payment due on the mortgage for which you were approved. Keep in mind this is just an estimate. When you close on escrow, you’ll pay prorated mortgage interest and property taxes from the date of closing till the end of the month. The date of closing can make a difference in thousands of dollars required to close. Ask your North Shore Real Estate agent to help you set your closing date in accordance with the cash you have at your disposal. 6. Solve the problem of how much you want to offer- This can be tricky, but there are some ways to determine the price of your offer. Your North Shore Real Estate agent can provide a Comparative Market Analysis (CMA) which shows what other homes along the North Shore are selling for. You can also determine the price by the sellers’ motivation to sell as well as the current market factors- which happen to be in the buyers’ favor right now! 7. Know when to remove contingencies or waive objections- Removing contingencies or waiving objections usually puts thousands of dollars on the line, so it’s not a step to be taken lightly. Plus, by removing contingencies or waiving your objections, you are essentially telling the seller that you plan to close the deal — something you just shouldn’t do unless and until you are satisfied with the following items: title, disclosures and inspections, condition issues, appraisal and underwriting. Your North Shore Real Estate agent can help you determine if and when you need to take this step. I hope these tips help you think through your expectations and will give you some insight into how to approach the current North Shore Real Estate market. Of course, I’m always here to help! Feel free to contact me anytime with any questions you have or to begin your home search. 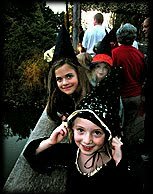 Enjoy Halloween Festivities Along Chicago's North Shore! As a Chicago North Shore Real Estate agent, I enjoy talking about the wonderful things each town has to offer! This fall has been filled with great community festivals and events, and with Halloween just around the corner, there are even more ways to get involved in your city! 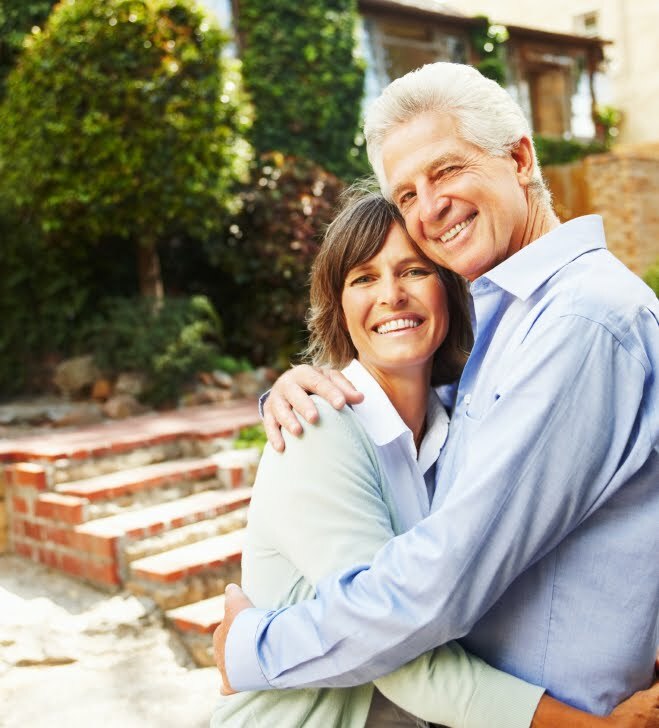 Whether you live in Winnetka, Deerfield, Highland Park, Glencoe or Northbrook or are considering moving to the area, you’ll find each community has an excellent quality of life and vibrant lifestyle that you’ll enjoy for years to come! Below are just a few of the highlights of this years’ fun Halloween activities. Take a look! - Ghosts in the darkness, eerie noises around every corner…what creeps in the trees of Sunset Woods Park? Find out what haunts the hemlocks and lurks in the leaves. Tram rides begin at 7pm from the football field at Sunset Woods Park and depart every 15 minutes until 9pm. Steve Dahlke will be there carving large pumpkins into art for everyone to watch! This program is appropriate for ages 7 and up and is $3.00 per person. Check out the Sunset Woods Park website for more information. - Enjoy the North Shore’s most beautiful garden where you’ll find eerie entertainment, ride the eerie express through the gardens, walk through the bat cave, get your face painted and more! Visit the Chicago Botanic Garden website for more information! - There are plenty of fun activities throughout the entire weekend! On Friday evening, brave souls are invited to partake in the thrills and chills of our superbly scary Haunted House. Your whole family will also enjoy a bonfire, DJ and more. On Saturday enjoy family-friendly entertainment, balloon dudes, both indoor and outdoor games, hay rides, a bonfire in the evening and plenty of Halloween treats available for purchase. Children under 7 years of age may take a walk through our haunted house with the lights on! For more information on Halloween Hoopla, please visit the Deerfield Park District website. I hope that whether you live in the North Shore or just visiting, you’ll take advantage of these fun events and enjoy getting to know more of what your community has to offer! Remember, safety over Halloween is important! Be sure children wear reflective costumes and are accompanied by a trusted adult at all times! If you have questions about what it’s like to live in Chicago’s North Shore or are interested in beginning your North Shore home search, feel free to contact me today! Help Sell Your North Shore Home with these Top Projects! For those of you who are considering selling your North Shore home this fall, you may feel you’re at the mercy of the current buyer’s market. As a North Shore Real Estate agent, I’ve talked with sellers who are concerned they won’t receive a return on investment or that their home will sit on the market for a long period of time. And, while it is important to be realistic about selling in today’s market; it can be a smooth and efficient process! Many North Shore sellers wonder if there’s anything they can do to help their home stand out from amongst the competition, and asking this question is a step in the right direction. Sellers can’t expect a home to simply sell itself if there are many other homes just like it on the North Shore Real Estate market. There are some things that you can do to give your home that extra boost it needs to ensure it has those essential elements for which North Shore buyers are searching. I’ve put together a list of some of the top projects you can do in your home to get it ready to sell. Of course it’d be ideal to do all of these projects in your home, but even picking a few that are within your budget and timeline can help sell your North Shore home. - Adding proper insulation will not only add value to your home, but will save you money. This energy efficient project will reduce up to 30% of heating and cooling costs. Those looking to buy a North Shore home will be searching for homes that are more eco-friendly and adding insulation or even replacing old windows with new energy efficient ones will appeal to buyers. - The best way to update your home is to remove any excess furniture or knickknacks that don’t serve a purpose. Not only will this make your North Shore home appear larger, but it will give your home a more updated feel. This cost effective project is a great one to do during winter months when you’d prefer to stay indoors. If you’re planning on selling your home, buyers will appreciate this clean and updated look as they’ll be able to better envision their belonging in your home. - Curb appeal speaks volumes for how you care for your North Shore home overall. A lawn that is well manicured and aesthetically pleasing will appeal to most no matter what the size. North Shore buyers will want to know they can simply maintain the lawn you’ve cared for rather than having to put in a lot of time and money for updates. - This is another project that will have to wait until the North Shore welcomes back warmer weather, but adding outdoor living space is like adding square footage onto your home. 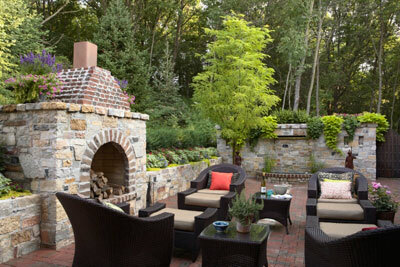 Imagine lounging in a new outdoor living space and hosting outdoor dinner parties this summer. Whether you’re going to be living in your North Shore home for the next twenty years or will begin the home selling process soon, this update will add value and character to your home. - Finishing our basement, while a seemingly large project, is much less expensive that adding an additional room onto your home. You’ll want to be sure to have a professional inspect your basement for its moisture level before you begin. Adding carpeting or a fresh coat of paint may be all your basement needs to gain a finished appearance. This additional living space may be just the thing for which buyers are searching. I hope these give you some ideas of what you can do to ensure your home stands out on the North Shore Real Estate market. As always, I’m here to help answer any questions you have or to help you get started in selling your North Shore home! Glencoe Active Listings: There are a total of 107 properties actively on the market with the average price of $1,550,801 in Glencoe. Glencoe Sold Listings: 6 properties closed last month in Glencoe with an average sales price of $1,096,083, the average time on market for these properties was 73 days. Deerfield Active Listings: There are a total of 190 properties actively on the market with the average price of $532,756 in Deerfield. Deerfield Sold Listings: 20 properties closed last month in Deerfield with an average sales price of $347,333, the average time on market for these properties was 114 days. Winnetka Active Listings: There are a total of 173 properties actively on the market with the average price of $2,010,895 in Winnetka. Winnetka Sold Listings: 26 properties closed last month in Winnetka with an average sales price of $1,085,842, the average time on market for these properties was 76 days. Northbrook Active Listings: There are a total of 348 properties actively on the market with the average price of $547,265 in Northbrook. Northbrook Sold Listings: 39 properties closed last month in Northbrook with an average sales price of $395,582, the average time on market for these properties was 69 days. Highland Park Active Listings: There are a total of 364 properties actively on the market with the average price of $855,982 in Highland Park. Highland Park Sold Listings: 34 properties closed last month in Highland Park with an average sales price of $446,347, the average time on market for these properties was 119 days.